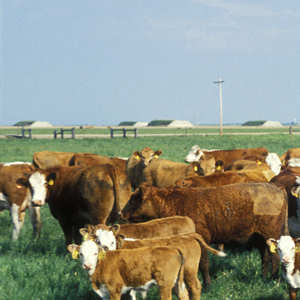 Complete year-round nutrition for livestock improves bottom lines. Generally, most rations are deficient of one or more minerals at different times throughout the year. To benefit from the full nutritional value of any one mineral, adequate quantities of all other minerals must be available. Because of this, it is ideal to provide a complete mineral supplement year-round. A complete mineral supplement not only supplies phosphorus and calcium, but also provides a total package of other important minerals, trace minerals, and vitamins formulated in exact amounts for maximum utilization by the animal. Salt blocks or trace mineral salt blocks contain little nutrient value, making them ineffective as a mineral supplement, even during maintenance only periods. Profit requires maximum-producing livestock and maximum production is dependent on daily diets that provide required levels of all necessary nutrients, including minerals, trace minerals, and vitamins.